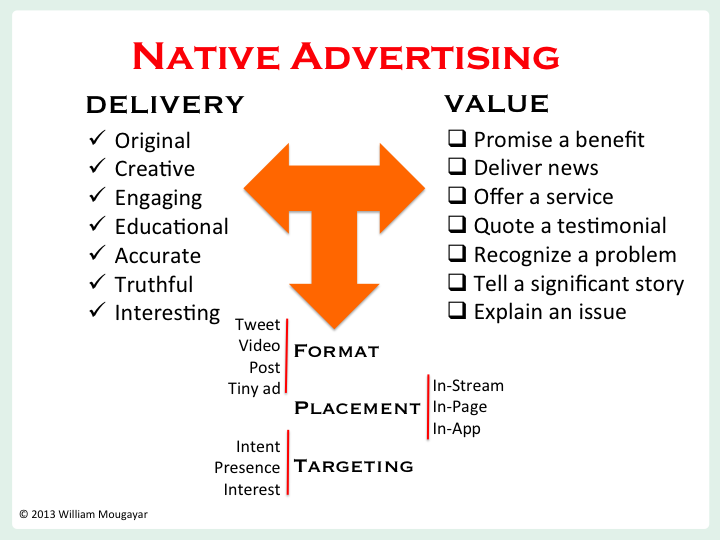 Startup Management » The Paradox of Native Advertising: New Recipe or New Bottle? There is no doubt the rush to figure out Native Advertising is on. What is not totally clear is whether it is really bringing a breathless amount of innovation or whether we are re-packaging old ideas in a new bottle. The more I dig into it, the more I’m seeing Native Advertising as a re-packaging of previous methods. But that’s a good thing, because sometimes, old ideas are tested and they work. Maybe Native Advertising is how online advertising should have been a long time ago. Instead, banner ads hijacked online content sites for a long time. Until Native Advertising came to the rescue. I’m not an expert on advertising models or “ad-tech”, so I’ll take a simple, naïve, consumer perspective into this, because that’s how advertising that’s well made should be: simple to understand and without a complicated message. 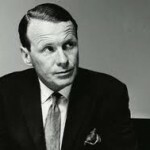 I’ve recently taken to re-reading the work of David Ogilvy, the father of modern advertising, because he laid down so many good principles, especially as an early advocate of the soft sell approach in advertising. With that backdrop, I’m sure you’ll agree that the current generation of hip Web and social companies did not invent native advertising. But let’s hope they adopt some good old principles into the new trend. We could say that advertorials and in-store advertisements were precursors to “native advertising”, and they have been around for long time. Advertorials blend education within the promotional message, and in-store advertisements rely on contextualizing the message with the proximity of the purchase intent. In-store Display Advertising. When you’re in a food store, and there’s a flat screen monitor displaying “monounsaturated fats, Vitamin C, and fiber are good for you, and avocados are full of them”, and 2 minutes later, you see a bag of 4 avocados for $1.99, chances are you will buy it. That’s native advertising (inside their premises), and it’s also contextual to the purchase intent, because you went into the store to buy food. Were you educated, engaged and benefited, or were we just marketed to? Yes to all. Advertorials (TV or Print). Do you remember Fortune or BusinessWeek full page or multi-page themed advertorials, written-up like a story, with quotes and fancy facts? How about the late night TV advertorials where it looked like someone is interviewing an expert, but they are really washing your brain to buy a product. The Guinness Guide to Oysters. That was probably the first cleverly made advertorial. In 1950, David Ogilvy came up with the idea of associating interest for a Guinness beer to the fascinating foods you drink it with, and produced an ad as a guide to nine varieties of oysters. That ad method was so successful for Guinness; it was followed by guides to game birds, cheeses and other foods that go well with a dark beer like Guinness. And it went viral, before the Internet! That ad was a turning point for the advertising industry, led by Ogilvy’s determination to bring integrity into that profession. And it helped him rise to fame with his ensuing work. 63 years later, you can still buy this ad as a print collection on Amazon, a testament to that ad’s impact and longevity as a model. Today, it would be beneficial to re-learn Ogilvy’s principles, because we have an opportunity to blend foundational principles of advertising with the new possibilities of online and social media. We’re starting to see some innovations. Provisions by Food52 is a juxtaposition of content with e-commerce, and it’s a brilliant idea. The recipe is like a subtle advertisement for the goods you can purchase. After you read a food recipe, you need to buy things to make it happen, whether it’s the ingredients or cooking accessories. Provisions connects you straight to an e-commerce marketplace. 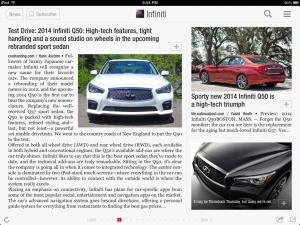 Flipboard is quietly innovating by inserting cleverly made ads between the flipped pages. 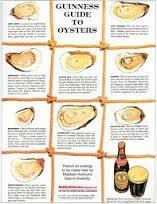 They are contextual and educational, reminiscent of The Guinness Guide to Oysters tact. Here’s an example from Infiniti that takes you to a series of articles about the car, which is something you would do anyways, if you’re interested, and you can continue drilling quite deeply into product specs or more reviews about it. Another ad was about the comfort of first-class seats for an airline, and when you clicked it, you were presented with a curated list of articles on sleep, how to sleep better, the importance of good sleep, sleep and foods, etc. Video Advertorial. The Levi’s Curve ID video ad from Federated Media is example that I’m calling “video advertorial”, although they called it something else. I hope to see more innovation like it that has creativity in content-based advertising and is fun and engaging to watch. It was Ogilvy who said “You can’t bore people into buying your product. You can only interest them in buying it.” That video epitomizes that. 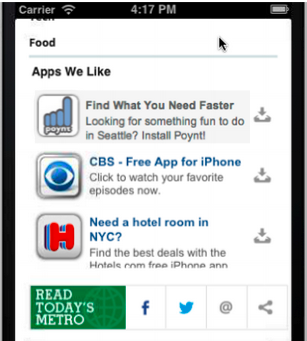 Tiny in-stream ads on smartphones from YieldMo (pictured on the left). The challenge with mobile screens is they are small, so it’s only fitting to blend in-stream tiny ads that are non-intrusive, and with a very concise message, for e.g. to promote a mobile App. David Ogilvy rears again, as he said that “10 words make-up the the ideal headline”, so he predicted tiny smartphone ads too! Native Advertising’s promise is to blend with the content so we feel less interrupted; that it educates at the same time as it promotes; and that it has some contextual magic that appeals to our emotional acceptance of it. Advertising has always been about rising above the noise level. Today, the noise locations are changing, so we have to change locations with it, to: physical spaces (e.g. while shopping), social properties (Twitter, Facebook), smartphone screens, and Websites (blogs, magazines, publishers). I wonder why it took us so long to figure out a better way to do online advertising, that doesn’t include banners. 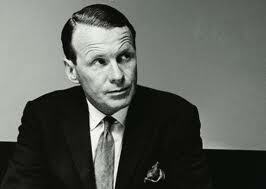 Inspired by David Ogilvy, Native Advertising is 63 years old to be exact. It is making a come-back, so let’s make sure it will last another 63 years!